BWSL Dreamchasers are your 7eague Champions! Coming into Championship Weekend with a 7-1 record, the BWSL Dreamchasers were one of the favorites to bring home the 7eague title. 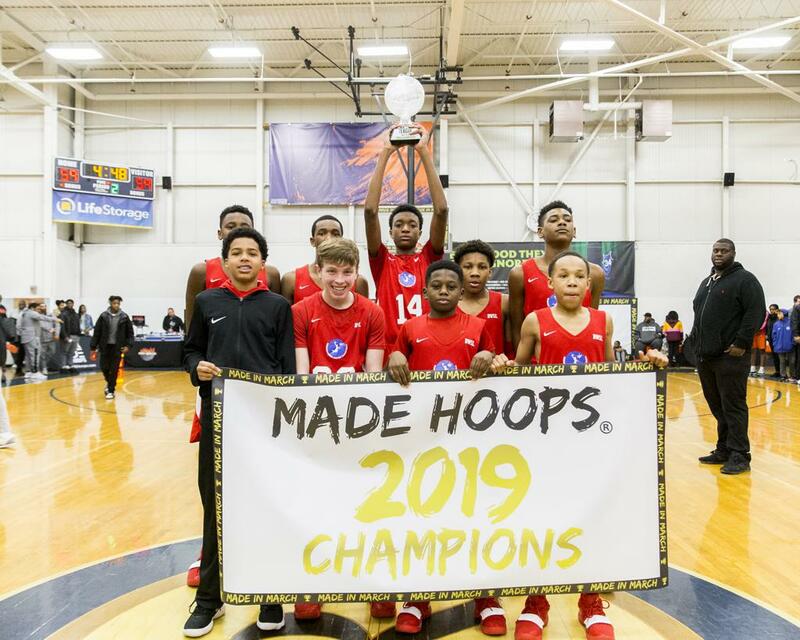 While the road wasn't easy for them, including a come-from-behind win over Team Takeover in the semifinals, they prevailed in an epic 3 overtime win against Team Takeover Oladipo in the championship, proving their status as arguably the #1 in America in 7th grade. Throughout the Winter Circuit, it was Colby White & Keionte Johnson who led the charge, providing scoring and toughness on both ends. Their heart an soul, Ben Hammond, dictated tempo throughout, and big shooting performances from Jeremiah Gorham & Troy Henderson helped deliver a title. Worth of a title themselves, Team Takeover Oladipo came up just short of a championship this season. A strong squad with both star power and depth, look out for them to use the upcoming AAU season and next Winter Circuit as a revenge tour in order to show that they are just as worthy as a pick for the #1 team in the country in their age division. Their star throughout the winter was long 6'2" wing Darren Harris, one of the elite prospects in the country. Developing wing AJ Swinton also has star potential, as he's just beginning to grow into his body. DJ McWilliams anchored their team on the inside, while 6'6" post Goap Kodi continues to make strides in his game. Khaafiq Myers, PG, Team Final Fidonce: The pint-sized point guard is a fun kid to watch on the floor. He's fearless as an attacking guard, managing to find alleys to score against much bigger defenders. He's also a player with a high IQ on the floor who is always willing to make the extra pass to set up his teammates. Michael Drayton III, G, E1T1 Heat: The 5'11" guard prospect had a nice weekend in Pennsylvania, capping off a solid Winter Circuit for him. On a talented E1T1 Heat squad with a number of good guards, he sets himself apart with his scoring savvy and high IQ on the floor. Danny Carbuccia, PG, Gauchos: One of the best point guards in the Northeast Region that I've evaluated to this point has been the steady-handed 5'8" prospect, who is a true floor general. He loves to initiate the offense, but has no problem creating for himself if the situation calls for it. Jayden Ramirez, PG, New York Rens: A 5'9" point guard, he stood out with his unselfishness on the offensive end. He always looks to make the right pass, and the ball never sticks in his hand. He knows when to attack the rim or when to knock down a mid-range shot, but he's most important as a creator and facilitator. Shamar McIntosh, WG, Team Takeover Grant: While falling just short of a championship game appearance, it was to no fault of the talented 5'10" scorer, who carried the bulk of the scoring for his team this past weekend. A strong and quick perimeter player, he constantly puts pressure the defense with his aggressive drives to the basket. Jadyn Harris, F, Team Durant: A dominant 6'5" forward, he's not only one of the most dominant prospects in the 7eague, but he has considerable upside based on his size and skill at such a young age. As he continues to improve his perimeter skills, he should develop into an absolute beast for Team Durant. Derrick Eley Jr., PG, Team United: A tough and talented 5'7" point guard, he had his fair share of big moments for Team United over the winter. He's most effective as a scorer heading downhill to the rim or when pushing defenses in transition with his skills. Zain Mahmood, F, Bounce City Elite: One of the most physical prospects in the division at 6'3", 200-pounds, he was crucial to the success of Bounce City Elite throughout their season. He's an effective scorer around the rim who loves to embrace physical play on both ends.